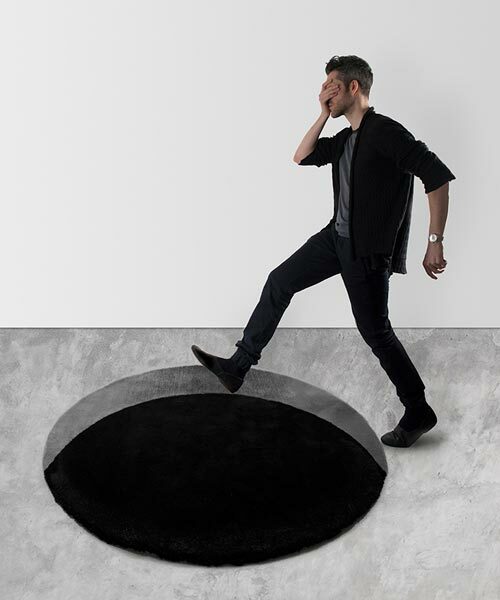 multidisciplinary artist scott jarvie has designed an optical illusion ‘void rug’, when viewed from a particular angle, creates the image of a gaping circular void in the floor. 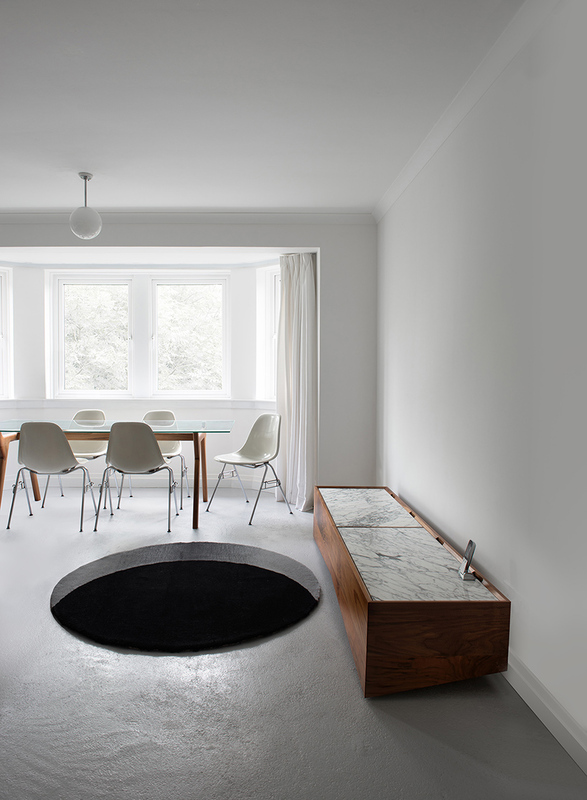 the design was influenced by the notion that the design of a 2 dimensional rug could be informed by a 3 dimensional approach, where there was more thought embedded in the design than simply the surface pattern. 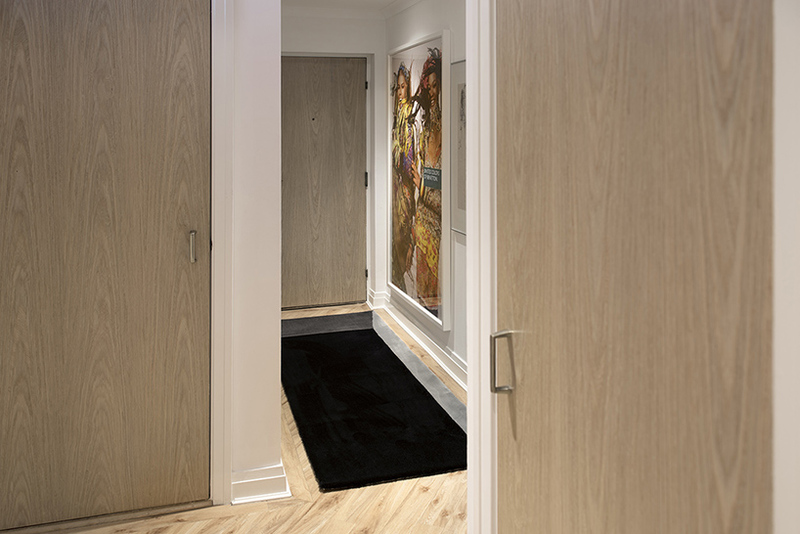 the illusion of depth is achieved by careful consideration of perspective, light and texture. scott jarvie‘s design is as much an attempt at illusion as it is a traditional textile design. 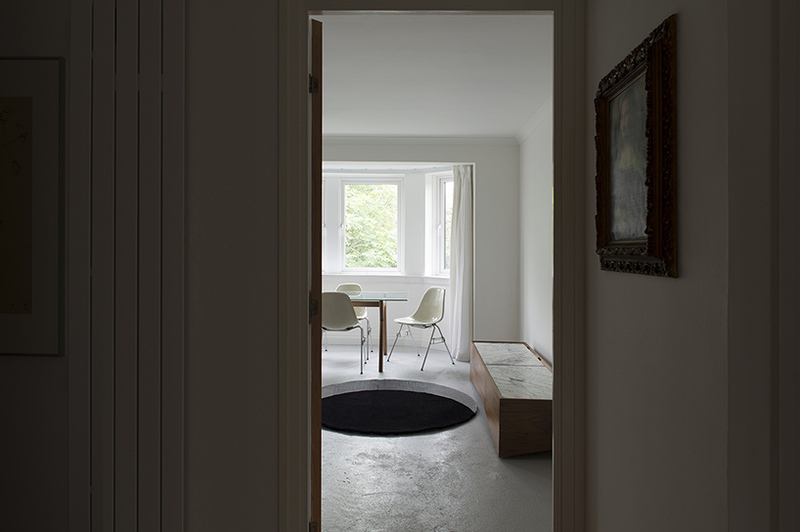 the rug is a simple geometric pattern, however, when viewed from a particular aspect it becomes a perilous void in the floor. it is a postmodern concept rendered with a modernist palette. the stark simplicity of the aesthetic is in distinct contrast to a number of jarvie’s recent designs. the piece aspire to be more than an utilitarian item, exhibiting elements of the surreal or the otherworldly, the fabric of dreams rather than daily life. the illusion only works from a single vantage point. 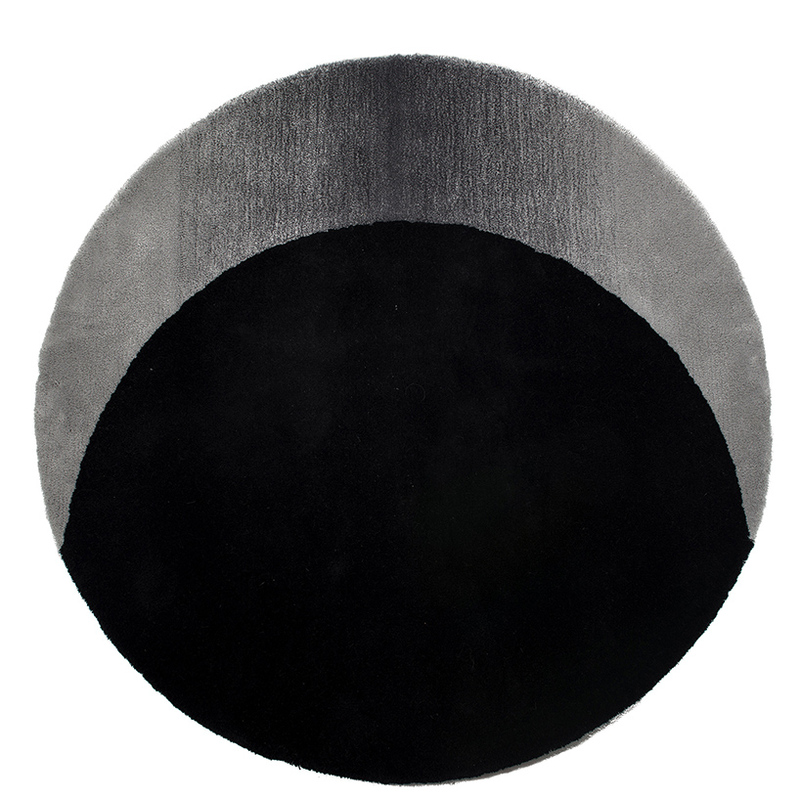 this helps in integrating the piece in an interior context, where its large black block of color and its monotone gradient add visual interest to modern interiors. the illusion is only apparent to the keenest observers – who are standing in the right place and looking in the right direction. 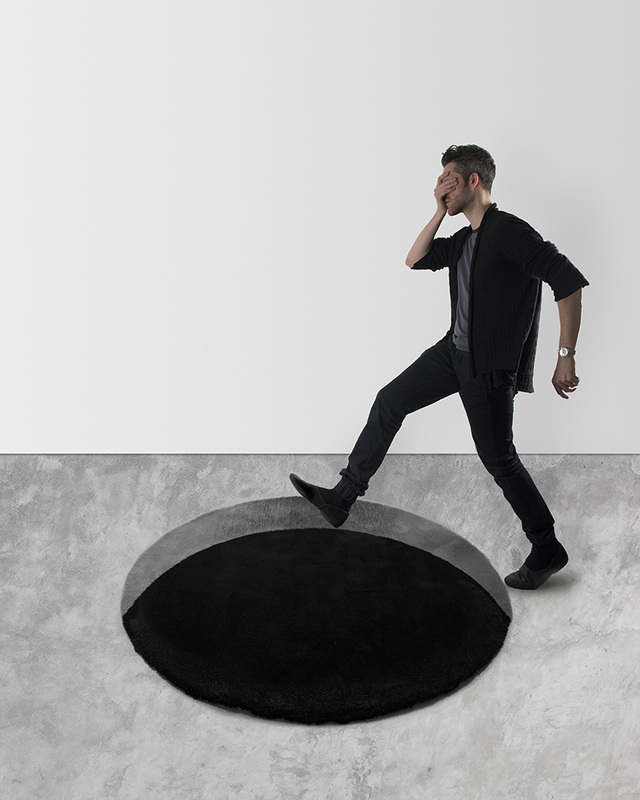 a circular version is suitable for larger spaces and a rectilinear version works as a runner in narrower spaces and hallways. 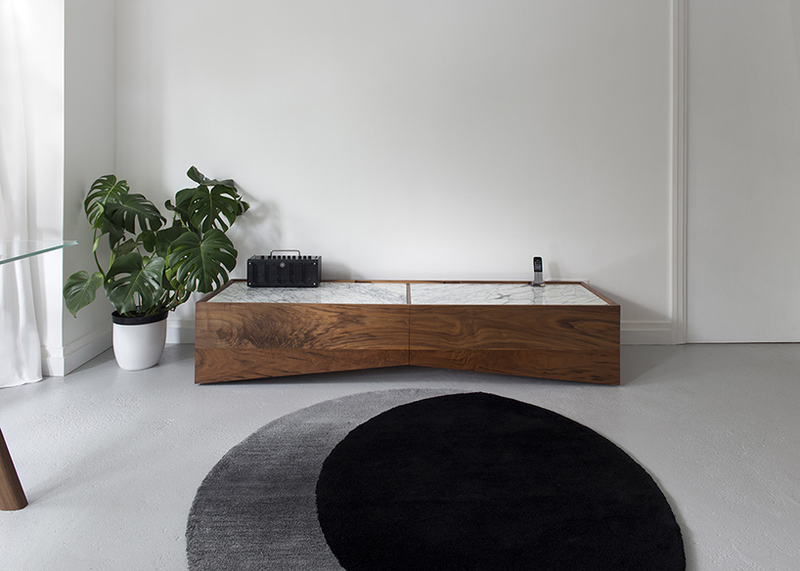 both hand tufted rugs are produced in 100% merino wool. the geometric monotone aesthetic makes the designs relevant to a broad range of contemporary domestic interiors.